After many weeks of meetings capturing requirements and late nights configuring Salesforce, you’ve implemented some great processes. The configuration is tight, workflows are streamlined, the data was correctly migrated, and the dashboards are stunning. Great job. You’re done – right? Not quite yet. One of the most cited reasons why CRM implementations fail is that users didn’t get trained. It just might be the most important part of the project, and one that I see skimped on way too frequently. Good training is the foundation of user adoption. If your users don’t embrace the CRM and see the value in what you’ve created, the project is doomed. A key thing for project sponsors to realize is that training is crucial to your change management communication. User training is not just teaching someone how to create a record in Salesforce, but an opportunity to communicate to employees what is expected of them, the need for a CRM, new procedures, and how they are being measured moving forward. When you have potentially dozens of employees that have been "doing their own thing" prior to purchasing Salesforce, it’s your one chance as a management team to instill new processes and reset the bar on accountability. If you take the attitude, "Salesforce spent a lot of money on the user interface, they should be able to figure it out," you’ll have a bunch of folks that will look at it once or twice, get busy with their day job and gravitate back to what I call "lowest common denominator tools" to manage their day (i.e. email, Excel and a legal pad). Data won’t get entered in, and what does will be all over the board because users won’t understand the flow of information and the data model (e.g. "should that be a Lead or an Opportunity?"). In user training you need to demonstrate what I call WIIFM – "What’s In It For Me." 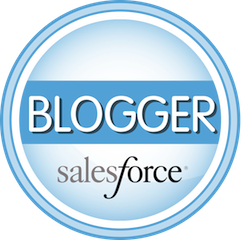 With a strong implementation of Salesforce, users should be more efficient, organized, responsive, informed, professional, and ultimately more productive. For salespeople that means making more money! Your training should highlight these benefits. If the CRM is perceived as "Work" rather than "Value," users won’t use it. Some people can self-study. You give them a book, a set of videos or self-paced web training and they’re good to go. Some of us need to be guided through the content in a traditional classroom format. It’s also a bit generational, but for those a bit older like myself, the classroom is a familiar place. Whether instructor led or self-study, hands-on exercises drive retention. We learn by doing. If you’ve done it once, you have a better chance of being able to do it again whether changing a flat tire or baking a soufflé. That’s why we always include hands-on exercises in a "Day in the Life" format to be sure users have done their job functions at least once in the training. For example, we make participants create a Lead, log activities, convert a Lead, etc. I tell people going through our training that I don’t expect them to remember 100%. However if they get 80% and it’s a different 80% than their coworker, as a group or team they’ll be in good shape. The more time they spend working in Salesforce during the training the higher the retention. Though all functional groups need the basics (how to search, navigate, create and update records, log activities etc. ), you’ll want your training to be role specific. Don’t have your support team sit through sales training or salespeople learn how to create campaigns and send mass emails. You’re asking for content overload. If you’re the anointed System Administrator or management, you’ll probably want to sit through all the sessions to get the big picture. Eight to twelve people in a classroom format is manageable for a single instructor. When you get large groups (16 or more), a second instructor can be very beneficial to "work the room." The second instructor is not there to teach the class, but provide one-on-one assistance to participants that get behind. Sometimes you’re lucky and everyone is moving along swimmingly, but you get one or two people that are struggling (or frankly not that computer literate), and the class will drop to a crawl at the detriment of the larger group. This is where the second instructor comes into play. He or she can swoop in as needed and keep the your little ducklings moving along. In my opinion live classroom training is ideal and the most effective, but if you don’t have the budget for travel, training over web conference (e.g. over GoTo Meeting or WebEx) is you next best bet. I say not ideal because you can’t see the "deer in the headlight" look to know if a student is struggling or just answering an email. To remain effective you’ll have to keep to a smaller number of participants (eight or less) and break the training up over multiple conference calls. On a web conference, after about 90 minutes people are checking out and looking at Facebook, but you’ll never know it. Have a morning or afternoon session with a good break over lunch, or two morning sessions across back-to-back days. Print out the training presentation for your students. They can follow along, and more importantly they can focus their attention on what you’re saying and doing rather than trying to write down everything on your slides. 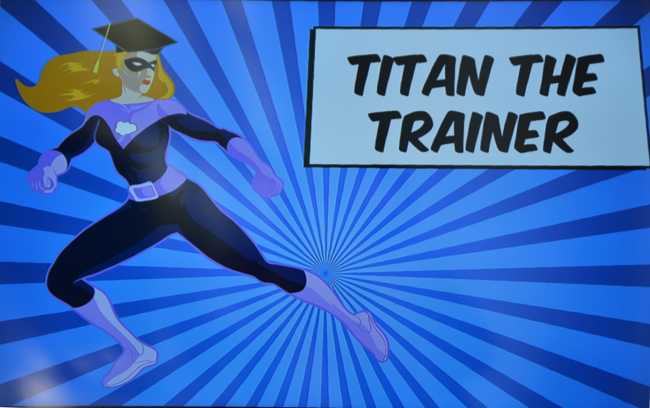 A typical PowerPoint deck for sales training can run 50 slides or more so print these out the day before. The system administrator needs to ensure that user accounts have been activated prior to your training date and monitoring that everyone has logged in at east once on the device they will be using in class. You can waste a lot of precious time at the beginning of a training session resting passwords – not a good first impression of the new CRM for your participants. You’ll want a room setup for delivering training. For a small group, that can be a large conference room. For larger groups you’ll need a room setup in a classroom layout. Have a projector that can support a high resolution and don’t assume your Wi-Fi can support 20 concurrent connections. Old laptop batteries drain fast, so have plenty of access to power strips. I like having one of the project sponsors kick off the training and set the tone for the day. That company just spent a lot of money on this project! They should drive home the importance of the training to the users and reinforce that they need to stay engaged and participate. That means not leaving the room to take a phone call and shutting down email. I think people are surprised how much time it takes to conduct user training. When I tell my clients training for salespeople can take four or more hours, they’re shocked. In those cases I suspect they think of training in terms of a product demonstration – along the lines of what they saw from their Salesforce rep when they were first evaluating the product. To give you an idea of the breadth and depth of a typical sales training, below is a sample agenda. I put the approximate time needed to cover each section. 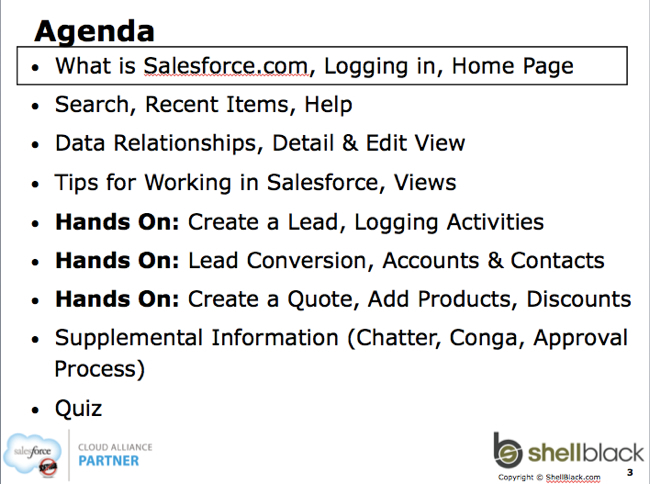 What is Salesforce and why is it different? Run through the slides with the project team a week or so prior to the training so they know what to expect and help identify any content or process gaps. During the training, don’t let a hard question from a user derail the class. Use a "Parking Lot" if needed to acknowledge the question or concern, but keep the agenda moving. Take breaks every hour or so for at least 10 minutes. That’s good for bio breaks and allows people to check their email or phone. Don’t train before a weekend or holiday. You want your users to apply what they’ve learned immediately – either that afternoon or the next day they should be working live in Salesforce. Schedule a one-hour Q&A call a couple of days after the training to answer questions that are coming up with users. Make sure someone from the project team is on that call to answer business or process questions. Take your training seriously but have fun. Execute it well and you’re ensuring long-term adoption and success of the project! At two companies in my past life I ran large training operations (multiple locations with a 100+ instructors). When I first started consulting on Salesforce back in 2005, I had an opportunity to teach ADM201, the five-day System Administrator class. Since then I’ve taught hundreds of people to become System Administrators and over a thousand end users how to be successful with Salesforce.